Cinderella has always been one of my favorite fairy tales. With courage, kindness, and hard work, this heroine proves that good people don’t always finish last and that a pair of new shoes can sometimes be life changing. Yesterday Disney launched the first movie trailer for the much anticipated live-action Cinderella movie, coming to theaters March 2015. 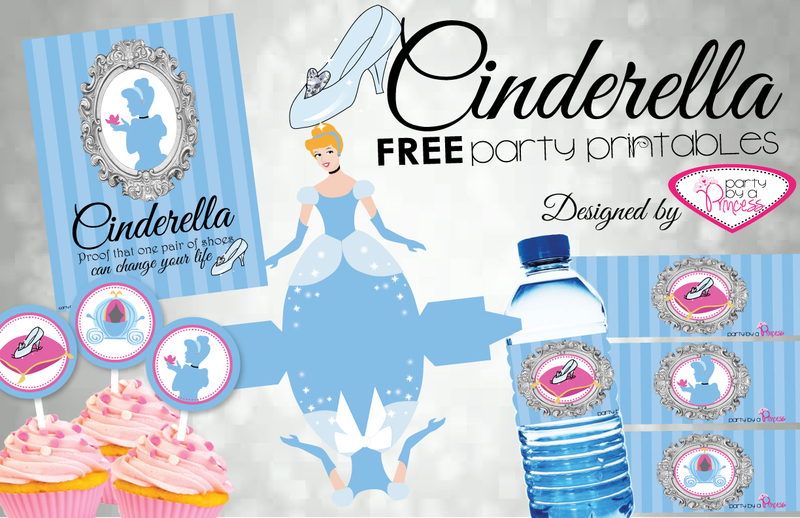 I was thus inspired to create some fun Cinderella themed party printables to share with the world. Hope you enjoy! If you haven’t seen the new Cinderella trailer, check it out, we’d love to hear your thoughts in the comments below.